This rocky top retreat is artistically illuminated to show off every square inch of this Louisville, Tennessee property in the Channel Oaks community on Fort Loudon Lake. 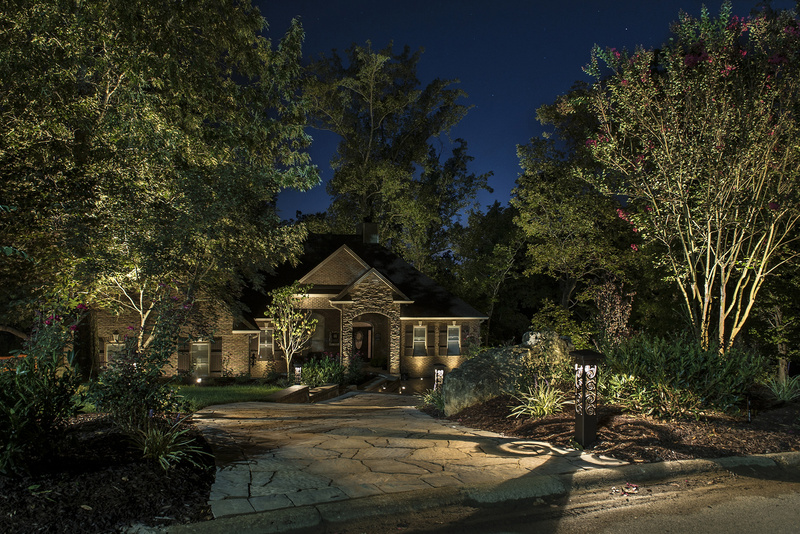 Our client wanted dramatic architectural lighting to highlight the lovely features of the house, garage, and elegant driveway. 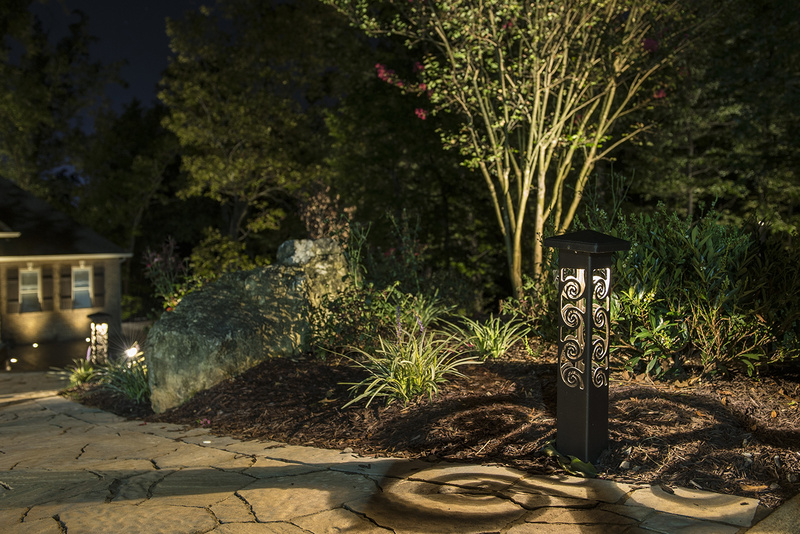 Handcrafted bollards cast beautiful light patterns across the moonlit walkway. 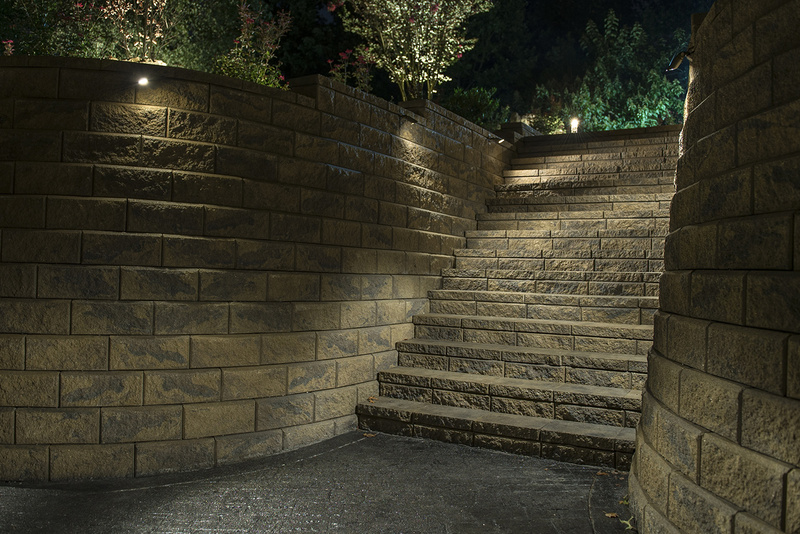 Stairway lighting guides you safely down steps to the front of the home. 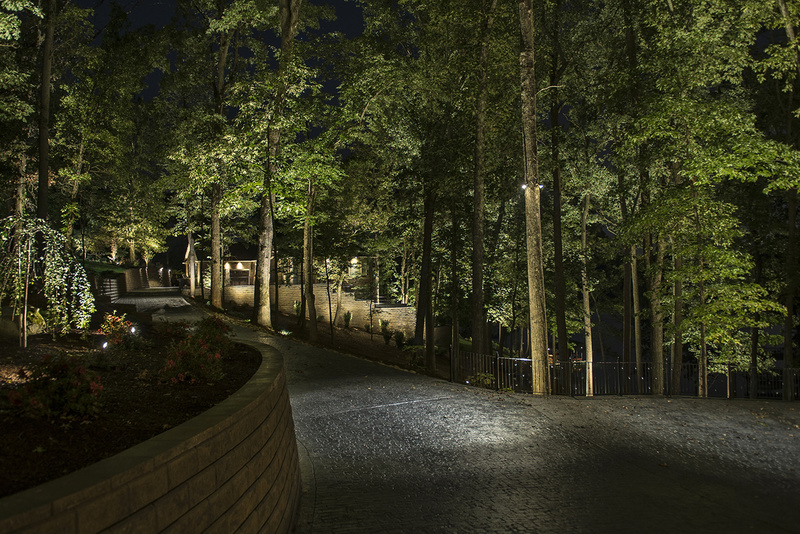 After a significant upgrade to the landscaping throughout the property, the client wanted to illuminate and highlight the beautiful work. 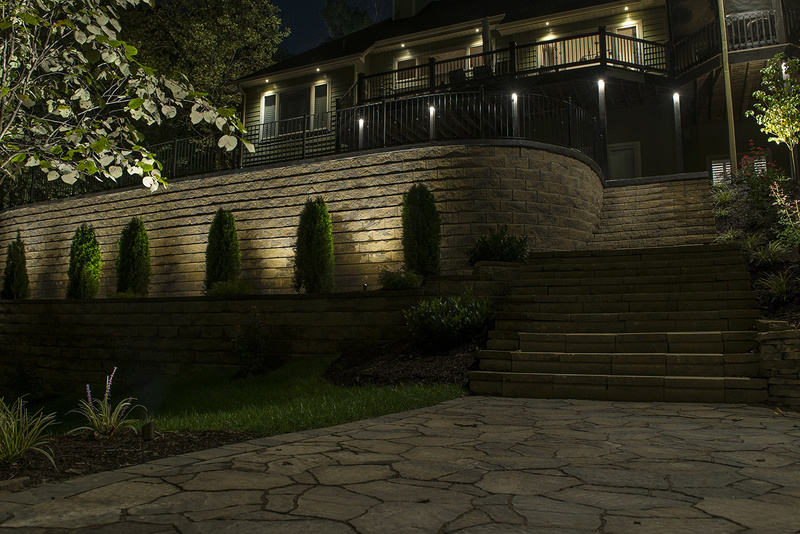 Some of the features included downlight pillar lighting on the deck and wash lighting on the immense terrace and retaining wall on the lake side of the home. Stairway lighting was added along with gentle moonlighting as you move toward the lake, dock, and boathouse. 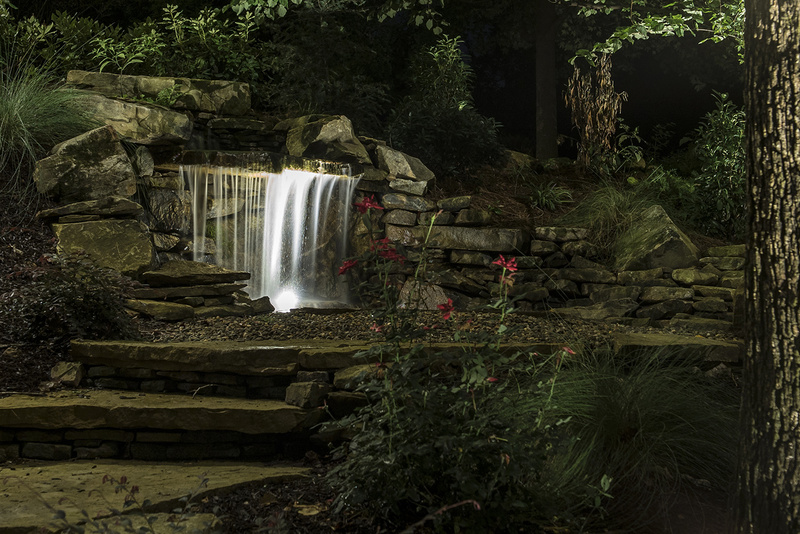 Underwater lights illuminate the water features, including a stunning waterfall. Lighthouse Outdoor Lighting of Knoxville covered it all.